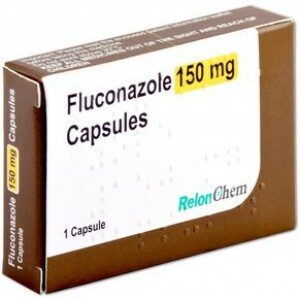 Fluconazole is an antifungal treatment which is intended to treat a number of fungal infections, such as thrush, jock itch, athletes foot and ringworm. How do I take Fluconazole? Fluconazole is an antifungal which is used to treat a number of conditions including thrush, jock itch, athletes foot and ringworm. Fungal infections rarely clear up on their own. Leaving a fungal infection untreated can cause recurrent infections or increase the risk of the infection spreading to other parts of the body or other people. In many cases, infections occur when natural fungi and yeasts overgrow. Other times, they can be contracted from other people with the infection or from surfaces contaminated with fungi or yeast. The latter is a common way in which athletes foot can spread. Athletes foot can be passed on through the surfaces of changing rooms at community swimming pools or by sharing towels, socks or shoes with infected individuals. Fungal infections, such as thrush, jock itch and athletes foot can spread from one part of the body to another. With the right conditions, athletes foot can be spread to the nails, resulting in a fungal nail infection. Therefore, it is imperative to seek treatment for fungal infections. Fluconazole is one particular treatment which is available as a capsule or an oral suspension. Fluconazole acts directly upon the fungal cells to kill them. Fungi and yeasts require ergosterol to survive, which they produce themselves. Fluconazole inhibits the organisms' ability to produce this substance. As a result, the membrane of the cell weakens and begins to break apart. The contents of the cell spills out and the cell dies. Can Fluconazole prevent fungal infections from recurring? Yes, Fluconazole can be used prevent fungal infections. If you regularly experience bouts of fungal infections, speak to your doctor about using Fluconazole to prevent further fungal infections. Fluconazole is available as capsules. The amount and frequency you take Fluconazole will depend on the type and severity of your condition. For instance, a vaginal thrush infection may only require a single 150 mg dose of Fluconazole. Other conditions may require taking one capsule daily for up to eight weeks. Our qualified doctors can prescribe the right course of treatment for you and your condition. Always follow the instruction given by your doctor. All medicines carry the risk of side effects, though not everybody gets them. Being vigilant of potential side effects is important to your care. We strongly encourage you to read the patient information leaflet which comes enclosed with your medicine before taking your first dose. If you experience any side effects, whether they are listed above or in the patient information leaflet, you should inform your doctor or speak to a pharmacist. You can find your nearest pharmacy by using the NHS' Find A Pharmacy service. Does Fluconazole interact with other medications? Before taking Fluconazole, inform our prescriber of all the other medicine you take, including those prescribed to you, bought over the counter or health supplements. This will help the doctor determine the treatment is suitable for you. Further information about drug interactions can be found in the patient information leaflet enclosed with your medicine. Do not take Fluconazole if you are allergic to any of the ingredients. If you experience an allergic reaction after taking Fluconazole, contact your doctor and go straight to your nearest accident and emergency department. Take the medicine with you so doctors know what you have taken and how much. How can I stay safe while taking Fluconazole? Always follow the instructions given to you by the doctor. Do not stop taking Fluconazole unless your doctor has instructed you to do so, even if the symptoms clear or you begin to feel better. Ceasing treatment too early can increase the risk of the infection coming back. Always keep medicine out of the sight and reach of children. Can I take Fluconazole while pregnant or breastfeeding? If you are pregnant or breastfeeding, you should consult your doctor before taking Fluconazole. Your doctor will be able to determine the safety of this medicine for you and your condition. Can I drink alcohol while taking Fluconazole? Alcohol consumption is unlikely to impact the effectiveness of the drug. However, it is best to avoid or limit alcohol consumption while taking Fluconazole. Alcohol consumption can increase the risk of experiencing side effects or make already present side effects worse. Moreover, the sugar and yeast in alcohol beverages may promote the fungal infection to grow, making it difficult to treat. What should I do if I forget to take Fluconazole when I should? If you forget to take Fluconazole when you should, take it as soon as you remember. If it is nearly time for your next dose, skip the missed dose and continue taking Fluconazole as your doctor has instructed you. Do not take more Fluconazole to make up for the missed dose. What should I do if I take more Fluconazole than I should? If you or someone else takes more Fluconazole than they should, go straight to your nearest accident and emergency department. Take the packaging and remaining medicine with you so that doctors know how much of the medicine was taken. Will Fluconazole affect my ability to drive or operate machinery? Fluconazole is unlikely to affect your ability to drive or operate machine. If you experience dizziness or drowsiness while taking Fluconazole, you should avoid such activities until you feel safe to do so. Will Fluconazole affect my contraceptive pill? It is unlikely that fluconazole will impact the effectiveness of your oral contraceptive pill. If you experience vomiting or diarrhoea after taking Fluconazole, follow the appropriate guidance listed in the leaflet for your oral contraceptive pills. When Pregnant: Tell your prescriber if you are pregnant or intend on becoming pregnant. When Breastfeeding: Tell your prescriber if you are breastfeeding.